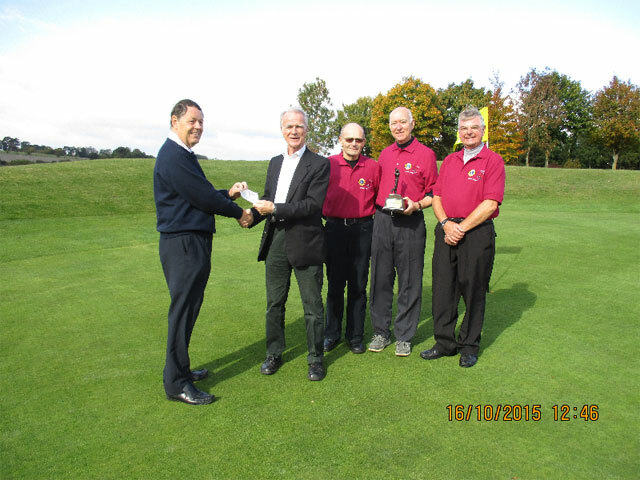 Lion Graham Dix presented the Lions/Rehab Golf Trophy and winners Lions/Rehab Shirts to winning team ‘4 for Tee’ together a cheque for £1600 to Alton Cardiac Rehab Chairman Dr Hugh Bethell. The donation is the result of the 8th annual Lions/Rehab golf competition and this year the funds will go towards the 10 week Staywell programme of assessment, monitoring and exercise, targeting those 1 in 4 individuals at risk of a heart attack. The 2016 Lions/Rehab competition will take place on the 10th of August details at www.altonlions.org.uk.